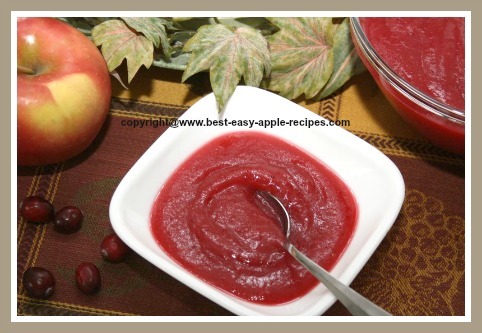 If you are looking for an Apple Cranberry Sauce Recipe, you have found a great one here! 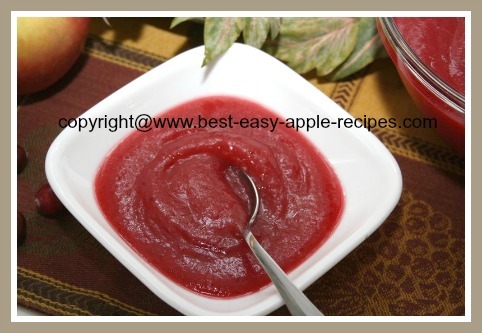 This scrumptious and healthy fruit sauce is very versatile! It can be used as a dessert, a side dish to any dinner menu, or as a topping for pancakes, puddings and cakes! A great recipe idea for special occasion dinner menus such as Easter, Thanksgiving and Christmas dinners ... but also very suitable for an amazing fruit sauce to enjoy at any time of the year! 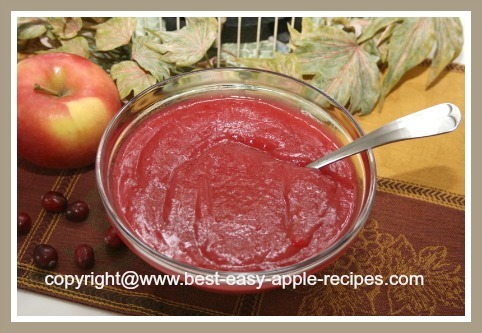 Use fresh OR frozen cranberries for this sauce! Looking for ways to make your own healthy baby food? 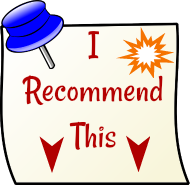 This recipe is a good choice! 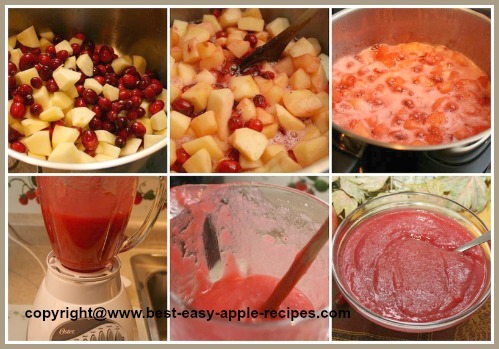 If you wish to make more or less cranberry apple sauce, simply double, triple, or halve the recipe below. *if you are making this recipe for a young child, leave out the spices. If you prefer less spicy sauce, then leave the spices out as well. 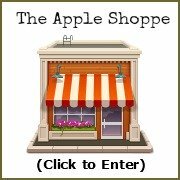 Peel, core, slice and coarsely chop the apples. In a large pan (I use a "Dutch Oven" pan), combine all the ingredients. When the mixture boils, reduce heat to medium-low and allow the fruit mixture to simmer (with the pan lid ajar) for about 15 minutes, or until the apples are tender. Puree the mixture in a blender until a smooth consistency is reached. Makes about 8 cups of Cranberry Apple Sauce. Store the cooled fruit sauce in the refrigerator.